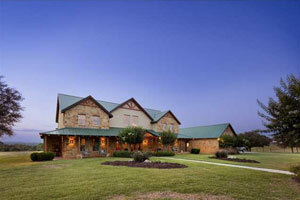 Kyle has been one of the fastest growing cities in Texas this century, with around 30,000 residents. Originally founded in 1880 by settlers from nearby Blanco and Mountain City, namesake Fergus Kyle and the family of David Moore donated 200 acres of land for the town when the International and Great Northern Railroad built a line from Austin to San Antonio. The first Kyle home lots were sold in October 1880 at an auction held beneath a Live Oak tree at 204 Sledge Street. Today, Kyle straddles I-35 in between Austin and San Marcos and is just south of Buda. Its booming population has led to much increased business development over the last decade, and its quality of life appeals to many homeowners. In addition, many people who work in Austin live in Kyle due to its relative affordability and small-town feel. Contact us directly if you have any questions about selling or purchasing a home in the Kyle Area. This Home Features Hardwood Floors An Open Kitchen With Breakfast Nook. Vaulted Ceilings With The "mother In Law Plan". Covered Patio With Large Private Back Yard And Side Yard. Cul-de-sac Lot . This Is A Short Sale With All Offers Approved Through The Bank. Property Sold As Is! Darling And Lovingly Maintained Home In Spring Branch. Kitchen Is Open To Family Room. Enjoy Recently Installed Flooring In Main Living Areas And Great Covered Outdoor Patio Out Back. Great Location, Easy Access To Shopping, Food, Entertainment In Kyle And Buda Via 1-35. Kyle (see Kyle homes for sale) is about 22 miles from Downtown Austin in zip code 78640. Kyle is the second largest city in Hays County and is east and west of I-35, about 20 minutes south of Austin. Plum Creek Golf Course is located at 750 Kohler’s Crossing. On over 200 acres of beautiful Texas Hill Country, the Plum Creek Golf Course includes an 18-hole championship course, 3-par executive course, and a 30-acre practice range. Lake Kyle & Park includes a 19-acre lake that was created when the Plum Creek Conservation District built a dam in the 1960's to detain storm water from washing downstream into Lockhart and Luling. In 2009, the City of Kyle secured a Texas Parks & Wildlife Department Outdoor Recreational Grant to purchase this 119-acre tract of open space and develop nature trails, wildlife preservation, and other outdoor recreational activities. This area is headquarters to the Parks and Recreation administration offices. Mary Kyle Hartson Park includes a gazebo, benches, and information marquee and is home to many community events, such as Santa's Arrival and Lion's Club Fajita Fiesta. This park was originally named Town Center, dating back to 1880, when the original platting of Kyle included its two acres in the center of town. When Historic Kyle City Hall was built in the early 1900's, the park’s name was changed to City Square Park. It was renamed Mary Kyle Hartson Park in 2011. Gregg-Clarke Park is home to the Kyle Pool and other amenities, such as multiple softball and football fields, lighted basketball and tennis courts, a covered pavilion, covered playscapes, walking trails, and wide open spaces. Steeplechase Park offers 31 acres of open space, along with picturesque Plum Creek. Amenities include a covered pavilion, playscapes, trails, baseball and football fields, basketball and sand volleyball courts, and a championship disc golf course. Waterleaf Park is located on the far eastern side of Kyle. Plum Creek runs through the park, and 70 of its 92 acres are undeveloped and remain in natural condition. The 20 developed acres include baseball and soccer fields, a playscape, nature trails, and wide open spaces. Additional undeveloped park land includes the Plum Creek Preserve & Nature Trail, Post Oak, Four Seasons Farm, Bunton Creek Village, Kensington Trails, Seton/Scc, and Linebarger Lake/Oso Oro. Kyle Public Library is located at 550 Scott St.
Kyle has a small-town feel, but it’s still home to the conveniences most homebuyers expect, such as an HEB Plus grocery store, Lowe’s, Kohl’s, and Target. In addition, the Kyle Flea Market boasts over 70 vendors on weekends. For local artistry, gifts, antiques, and collectibles, visit Arrowhead Trading Company. Cabela's , moments away in Buda, Texas, features outdoor merchandise in its 185,000 square foot showroom, plus a décor of museum-quality animal displays, huge aquariums, and trophy animals interacting in realistic re-creations of their natural habitats. Kyle is minutes away from large shopping centers both north and south on I-35. The Tanger Outlet Malls and San Marcos Premium Outlets south of Kyle offer hundreds of stores, including Coach, Cole Haan, Diane Von Furstenberg, Elie Tahari, Fendi, Giorgio Armani, Gucci, Last Call by Neiman Marcus, Saks Fifth Avenue Off 5th, Pottery Barn, and more. Southpark Meadows north of Kyle also offers dozens of stores and restaurants. Locally owned Bordeaux’s offers menu items from Filet Mignon and Ribeye grilled over an open fire to Australian cold water lobster tails to fondue and unique daily specials paired with creative “Cajun and French influenced” sauces. Railroad Bar-B-Que serves up succulent, juicy smoked chicken, brisket, sausage, ribs, and turkey. Kyle is in the Hays Independent School District.